The 2018 Bibby Financial Services subcontractor survey highlighted a number of construction sector issues including late payments and bad debts in the construction sector. The report suggests that following the collapse of Carillion, 47% of construction sector subcontractors are now wary of dealing with large main contractors, for fear of a similar situation arising. There is some reason to take such a view as the report suggests that 53% of subcontractors have written off a bad debt during the last 12 months. The report also highlighted some concerns regarding the amount of bargaining power that subcontractors feel they have when negotiating with main contractors. 56% of respondents said that they felt they didn't have any bargaining power and hence had to accept the contractual terms offered by the main contractor. Even where a bad debt is not suffered, there are significant payment delays being experienced within the sector. The average number of payment days for subcontractors rose to 44 days in 2018, up from 42 days in 2016. However, this masks the fact that 28% of subcontractors said that they had to wait more than 55 days to be paid. The extent of the problem is so widespread that 82% of subcontractors surveyed said that they would support mandatory payment terms for public sector contracts. The issue over late payment has continued to dog the sector despite various measures being introduced to try and combat it at a national level. Construction sector finance remains an option to bridge the gap between completing work and receiving payment. The product works in a similar way to invoice finance. 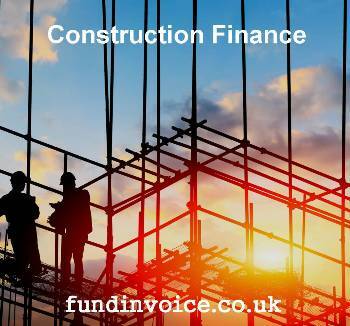 Instead of funding against an invoice, funding is against an application for payment, which is a common practice amongst almost three quarters of construction sector businesses.